Stepping out into your backyard can feel like an extension of your personal living space, but only if you plan ahead and create a space that is both functional and beautiful. Spending time outdoors during the spring, summer and fall months is a must in the south, and having the ability to keep the conversation flowing while you’re cooking dinner for friends and family is a huge bonus. Why not create a relaxing and peaceful space to create your culinary masterpiece outside of your home? 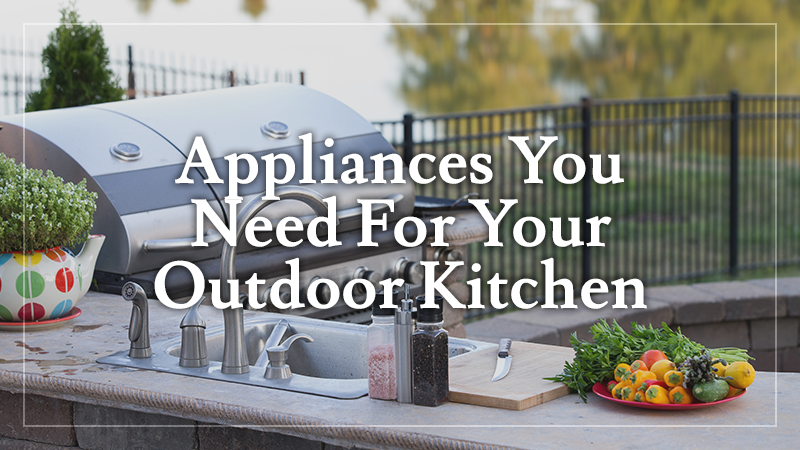 Let’s look at the various appliances you’ll need to get started on your dream outdoor kitchen. Grilling is an art form and one that is practiced for many years before you’re able to get the perfect sear on your meat or veggies. 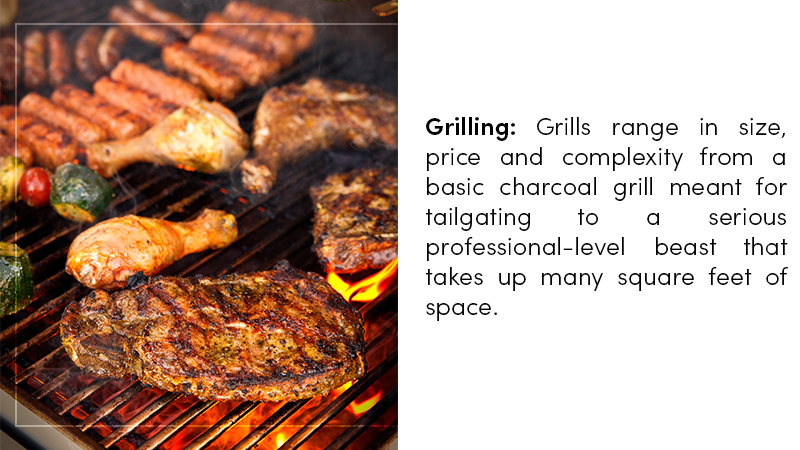 Grills range in size, price and complexity from a basic charcoal grill meant for tailgating to a serious professional-level beast that takes up many square feet of space. Professional project managers from L & L Contractors can help you determine what type of grill is best for your needs based on your family’s outdoor living style and your overall project budget. No mid-size or larger outdoor kitchen is complete without a refrigerator to keep everything from beverages to beef cool! When you determine how to lay out your ideal cooking space, determine the fridge size you’ll need and whether it makes sense to have one that is attached to water for an automatic ice maker. Creating a beverage center allows you to have cold drinks on hand at all times. If the grill you purchased doesn’t have a side burner, this simple addition to your outdoor kitchen can save you a heap of time and effort. Easily build on a small burner beside your grill, and you’ll be cooking side dishes or warming up sauces to go along with your grill-based masterpieces. Rugged burners and grills will provide you with years of hassle-free cooking and enjoyment from your outdoor living spaces. Throwing food scraps out in the yard isn’t a great idea, even if you’re out in the country. Why? These cast-offs can cause a lot of animal interest. Instead, take the easy route and add a garbage disposal to your outdoor kitchen plans. An ice chest is great for keeping drinks cool, but you may also want to maintain food such as salads in a bed of ice. Be sure that the ice chest you select is rated for outdoor use, and that each component will fit in the space that you have set aside. Give the friendly and qualified professional project managers at L & L Contractors a call today to schedule your consultation! You’ll be one step closer to the backyard paradise you have always dreamed of having.